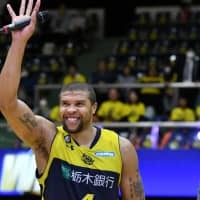 Veteran big man David Simon had a game-high 21 points and four teammates also scored in double figures in the Kyoto Hannaryz’s 85-74 road victory over the Levanga Hokkaido on Friday. Simon snared seven rebounds and handed out seven assists for Kyoto (17-17), which led 42-31 at halftime. He also had three steals and a pair of blocked shots. Simon is the B. League top flight’s second-leading scorer (22.9 points per game). 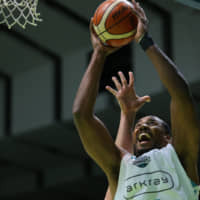 Hannaryz teammate Julian Mavunga notched a double-double with 19 points and 12 assists and pulled down eight rebounds. Shingo Utsumi, who was 4-for-4 from 3-point range, scored 16 points, Masaharu Kataoka poured in 12 and Kevin Hareyama finished with 10. David Doblas paced Hokkaido (8-26) with 17 points. Asahi Tajima and Marc Trasolini had 16 and 15 points, respectively. The Hannaryz shot 58.5 percent from the floor. The Levanga were 4-for-17 on 3-point attempts. 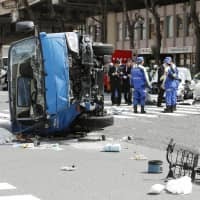 In Utsunomiya, Tochigi Prefecture, the hosts used a 7-0 spurt to end the game and cap a thrilling comeback against Kawasaki. Jeff Gibbs scored a game-winning bank shot in the paint with 2 seconds remaining. 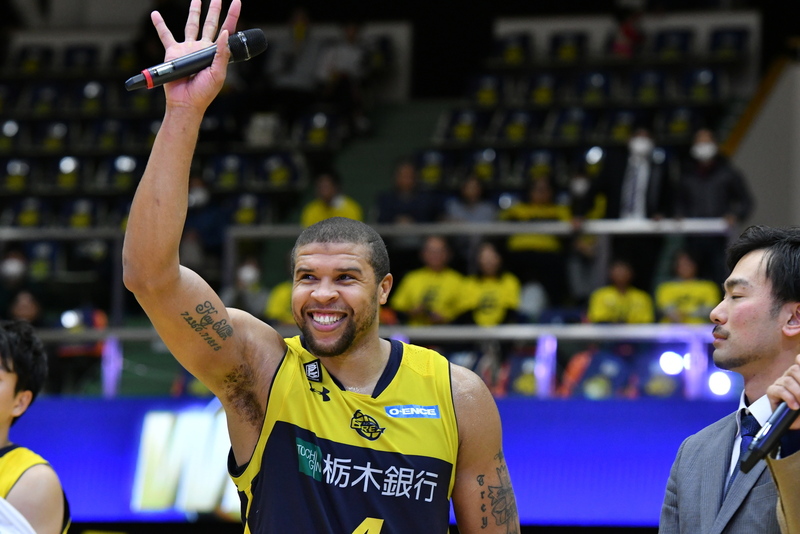 He caught an inbounds pass, dribbled past halfcourt and and into the lane, elevated and knocked down a short-range jumper as Tochigi fans erupted with joy. For Kawasaki, Takumi Hasegawa’s 3-point attempt from the right baseline missed its target before the game clock expired. Yusuke Endo and Ryan Rossiter led the Brex (27-7) with 18 points apiece. Rossiter grabbed 10 rebounds to complete the double-double while also contributing four assists and five blocks. Gibbs added 16 points along with seven rebounds, six assists and four steals. Hironori Watanabe chipped in with 11 points and newcomer Makoto Hiejima had seven points in nearly 20 minutes of court time. Tochigi outscored the visitors 44-26 in the paint. The Brex held Kawasaki star Nick Fazekas to 6-for-20 shooting. Fazekas finished with 17 points and 17 rebounds. Frontcourt mate Vernon Macklin had 16 points and eight boards. Hasegawa added 13 points, including 3-for-4 from beyond the arc. Naoto Tsuji had an 11-point game and Ryusei Shinoyama scored 10 points and doled out six assists. The Brave Thunders (21-13) took a 38-37 lead into the third quarter. 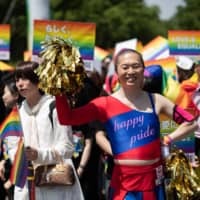 The Chiba Jets Funabashi won their 10th straight game to extend the league’s longest current winning streak on Wednesday, beating the visiting Alvark Tokyo 81-79. 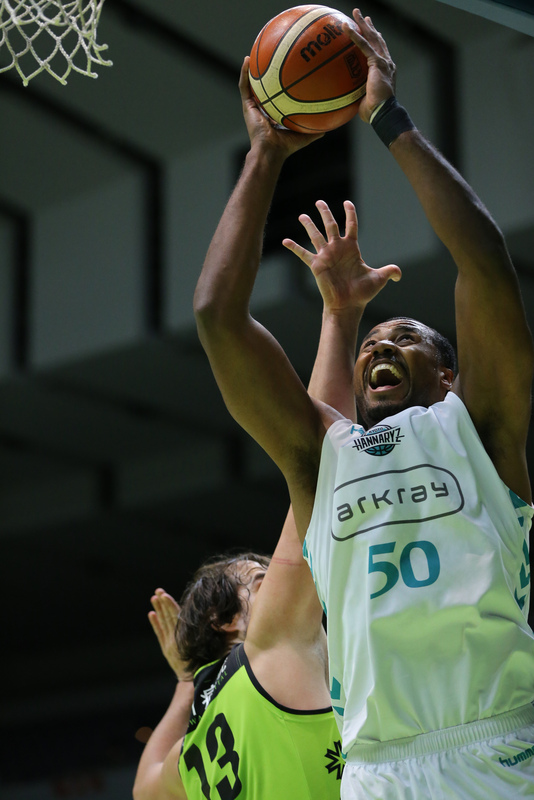 Michael Parker paced the Jets (28-5) with 26 points and 11 rebounds, while Yuki Togashi dished out seven assists. The Central Division-leading Niigata Albirex BB (23-10) have won seven in a row. In Friday night’s B2 action, the Gunma Crane Thunders defeated the Ehime Orange Vikings 79-70, while the Shimane Susanoo Magic edged the Fighting Eagles Nagoya 73-70. Gunma improved to 24-10; Ehime slipped to 14-20. Shimane raised its record to 24-10; Nagoya fell to 22-12.